In the entire field of digital marketing, there are several buzzwords which are worth knowing but among all of them, none of them must have been as important as blogging. The ultimate cornerstone for the foundation of social media, content marketing and earned media is ultimately blogging. If you have a company which can pull off a blog that’s rich with keywords, it will probably offer a sustainable and long-term ROAS. Research reveals that people nowadays search in brand new ways when they search for some specific thing on the internet. There are people who can throw some money towards the ad buys but agencies with marketing strategies driven by content are the ones which are all set to win the competition. As long as an online marketing blog is concerned, it is vital for purposes of search engine optimization. One of the most vital search criteria for gaining the trust and confidence of Google is the relevancy of the domain. 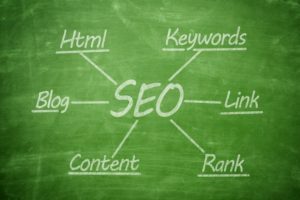 The more is the number of inbound links which you obtain from the high authority domains, the higher will be your website’s rank in the search engine result pages of Google. Your website will then be seen as another relevant resource. A blog that is constantly updated like Nogentech will offer you the chance to fill up pages within your domain with useful details which can eventually attract backlinks. Now that you use your blog in your portfolio, the very next step should be to guest post as a leader through websites, blogs, media websites to gain links through the paid media. If you could even gain a column in media outlets like Entrepreneur, Forbes, Huffington Post, this would increase your site’s ranking in SERPs. But this could be tough for you if you didn’t know where to start. Make sure you participate as a source. In order to build a famous and popular blog, you will require dividing everything into tags and categories. Make sure the categories are broad enough and they should also be related to the niche industry you deal with. For instance, if it is an eBay marketing platform, the blog content should deal with the sales categories of eBay, the tips for sellers and a company dealing with commercial construction would want relevant categories as well. You have to watch out for long-tail keywords. Once you’ve started running a blog, the ultimate trick is to keep it going. After the entire decade of hard work, you would find out that it is a very small portion of your links which are still there. In order to keep your blog active, you should also audit for dead links so that you can remain at the top of SERPs. All search engines and Google reward longevity and hence the longer you retain the blog, the results will get more fruitful. It is through a blog that you’re also actively getting engaged with the media and contributing to world at large. So, as we see, a stagnant blog can do more harm than good and hence it is vital to continuously keep publishing awesome and relevant content. Build a professional content team and it is most often a good idea to hire people from outside. Blogging is indeed a serious business and hence only the best content should pass through.